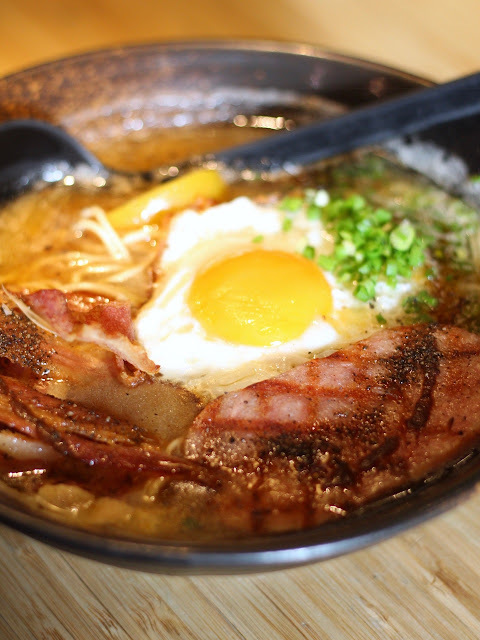 With the increasing demand for ramen these days and with the increased number of people flocking to your favorite ramen joints, you can't really blame anyone who wishes for another ramen restaurant to step into the limelight unnoticed. And to me, there are a lot of them waiting to be uncovered. Some of them might have already been given the chance, but are still underappreciated and left for those who are seeking for an adventure. 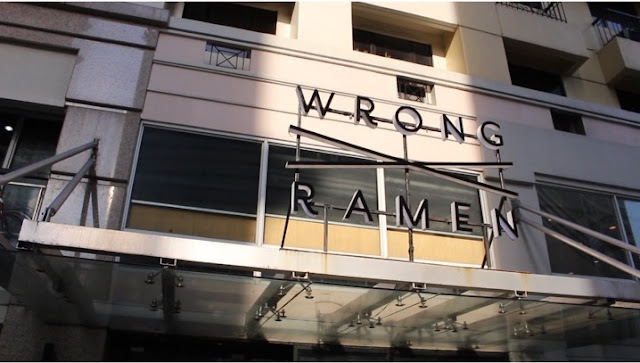 Wrong Ramen is a ramen joint located in the middle of a bustling city. But unlike the others, Wrong Ramen is where you can enjoy a bowl of unconventional ramen minus the long lines and the noisy crowd that goes with it. Deep bone pork broth, onion leeks, chashu, mushrooms. Though this ramen is the most basic and familiar item on the menu, it tastes slightly different from all the others you may think of. The tantanmen is a ramen with sesame, tobanjan, minced chashu, peanuts, and onions. It's a ramen I don't normally don't go for, but my tastebuds agreed to Wrong Ramen's version. It's a ramen that has a rich and creamy, nutty broth, which is why I was able to appreciate eating it like a tsukemen. Ramen topped with crispy bacon, spam, crispy fried egg, black pepper, and parmesan. 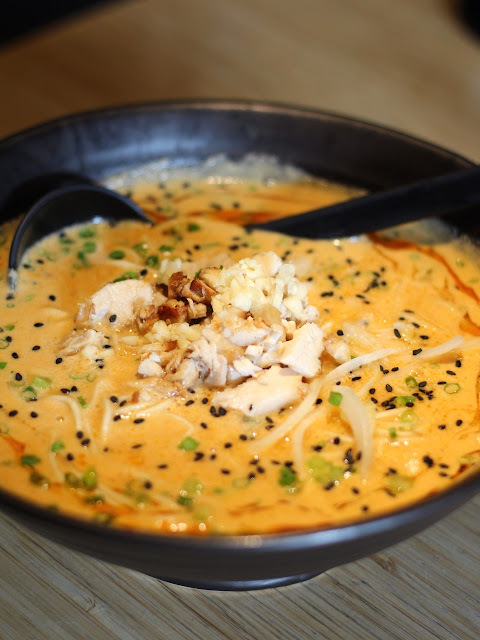 Wrong Ramen is all about unconventional ramen, and their best selling FU ramen is what makes this true. The broth of this ramen is very different. It's clear, but not light, and packs a lot of flavors. 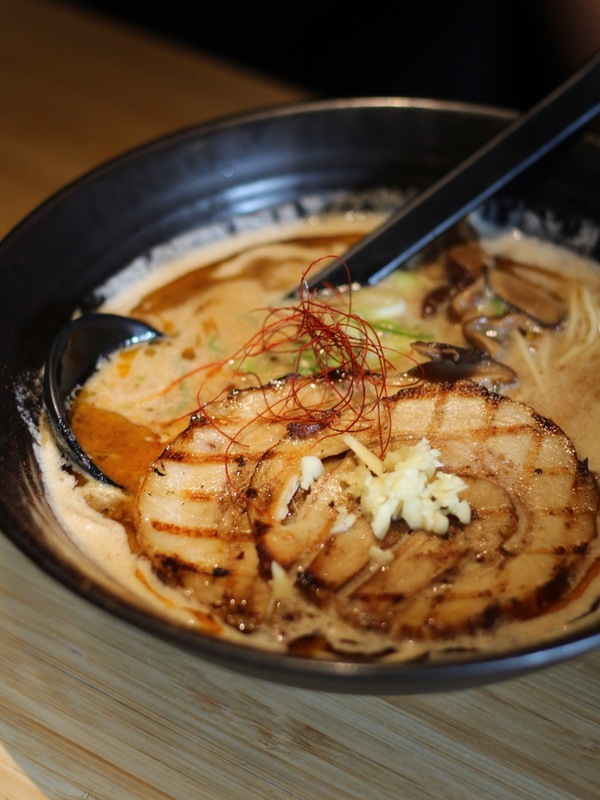 If you're looking for a peaceful and decent place to have a bowl of ramen all to yourself, or if you're looking to have one while catching up with a friend, then Wrong Ramen is a place to consider. 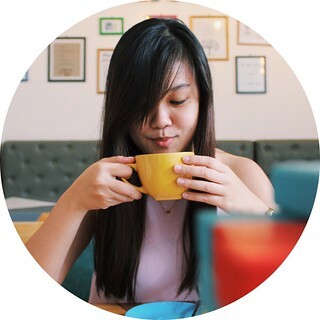 Its dim and warm ambiance makes every slurp feel more satisfying.